LYR (London Youth Rowing) is a ground breaking sports charity - developing young people through physical activity and opening access to rowing at all levels. London Youth Rowing (LYR) is pleased to announce the 9th National Junior Indoor Rowing Championships (NJIRC), which will take place at the Lea Valley Athletics Centre in North London on Friday 20 March and it’s going to be bigger than ever! This year the event will be co-hosted by London Youth Rowing, British Rowing and The Boat Race Company. 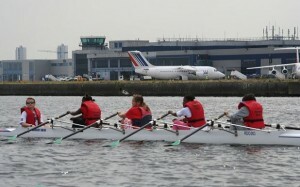 British Rowing is the national governing body for one of the most successful rowing countries in the world. Rowing provided Team GB’s first Gold medal at the London 2012 Olympics, inspiring a whole new generation of young rowers. A number of stewards are required on the day and volunteer roles range from observers who will keep an eye on the racing, help selling t-shirts to the crowds to directing visitors. All you need is lots of enthusiasm and a keenness to get involved! A short pre-event briefing will be arranged for you.